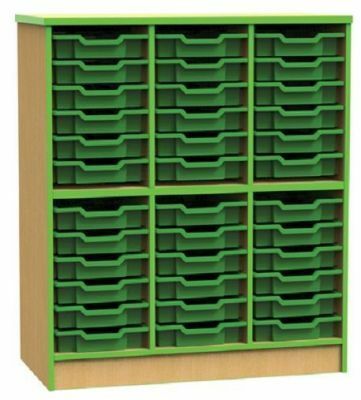 High capacity open fronted storage unit complete with 36 shallow Gratnell shallow trays in a choice of 25 colours and carcass edge detail colours. Constructed from 18mm MDF in Oak, Beech or Maple. Delivered free to mainland UK assembled and ready to use. Lead time 10 - 20 days.